“Like A Rolling Stone”, “Born To Run”, “The Times They Are A-Changin”, “Dancing In The Dark” and “Blowin’ In The Wind”. The songs of Bob Dylan and Bruce Springsteen were the soundtracks of two generations, giving voice to protests and hopes. 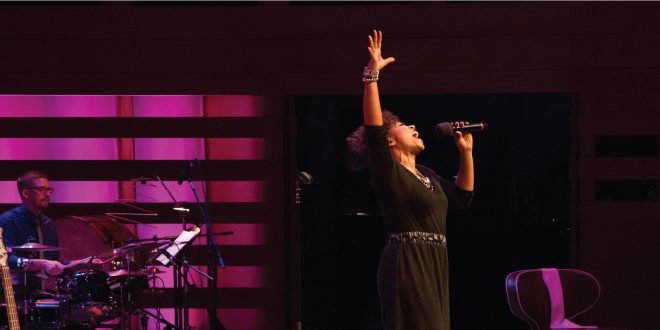 In The Musical Stage Company’s signature concert, experience music director Reza Jacobs’ wildly imaginative arrangements of these iconic songs in the exquisite Koerner Hall. What makes a show unmissable? The perfect combination of smart arrangements performed by an ensemble of artists who are the experts of their instruments. UnCovered is all of that. [The] annual Uncovered concert is my favourite event of the year. Join our mailing list to receive first notice for tickets to UnCovered 2019.